Red-lining every workout shouldn’t be your/their goal!!! While it is important and healthy to push your heart rate into the 90-100% range at least a few times every workout, and depending on the activity it may stay there for a few minutes, you shouldn’t be attempting to operate in that range for the whole workout. 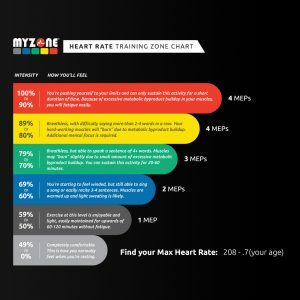 It concerns me when I see FaceBook posts announcing that the day’s workout is simply a race to a certain number of MEPs as quickly as possible (a score earned through MyZone through a sliding scale that puts more weight on higher heart rates). The reason for my concern is this – as much as it is important to push the upper ranges of the Max Heart Rate, even more important is the ability of the heart rate to recover after maximum efforts, through intervals. An indicator of cardiovascular health is the hearts ability to quickly re-supply the body with oxygen after anaerobic efforts, and then return to its resting levels. So, if over time, an individual is able to shorten the amount of time it takes the heart to drop from 95% Max HR to 70% Max HR from 30 seconds to 15 seconds, they have shown hard evidence of their heart improving its efficiency. 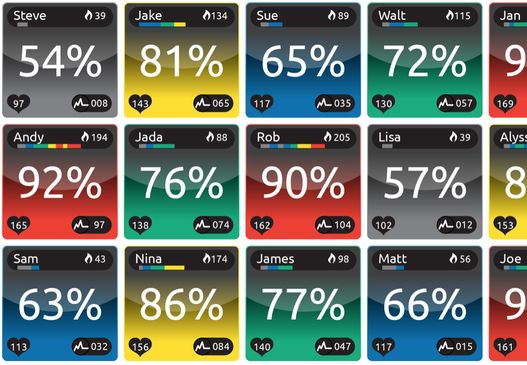 Instead of seeing workout summary consisting of just one “color,” meaning the entire workout was in one HR range, I would rather see a “rainbow” challenge, where individuals need to cycle through all of the ranges repeatedly throughout a workout, so that their workout summary looks like a rainbow. Or, races to top and bottom, where they record the amount of time it takes them to go from 60% to 95% and then back down again (while moving the entire time). The key here is to utilize active recovery to bring the heart rate back down, not just a complete stoppage of movement. If you do some research, this was the actual real intention of Tabata’s study and the :20/:10 interval. This is also where some people miss the boat with HIIT training. They forget that the second “I” stands for Interval, and just think it means High Intensity Training. Heart rate is also a great indicator of over-training and recovery needs. Ironically, a sign of over-training is when one is experiencing a high perceived degree of difficulty during a workout, but is struggling to elevate their heart rate. While they may be tempted to push even harder in order to try to raise the heart rate, what they really need to do is back off until the perceived degree of difficulty matches the heart rate. This basically means they need to dial back the effort and have an “easy” day. 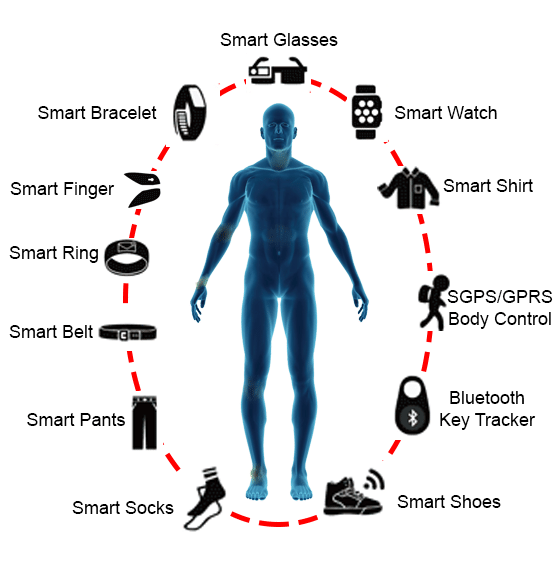 This is where educating your clients about heart rate ranges, and what you can learn from your heart rate can be helpful. I’d even go as far to say that periodically you prescribe a workout where they are required to keep their heart rate BELOW a certain percentage the entire time, say 80%. Use the data you have available to create intelligent workouts that have specific short and long-term goals in mind. Fatigue and a puddle of sweat may very well be the result of a workout, but they should not be the goal. 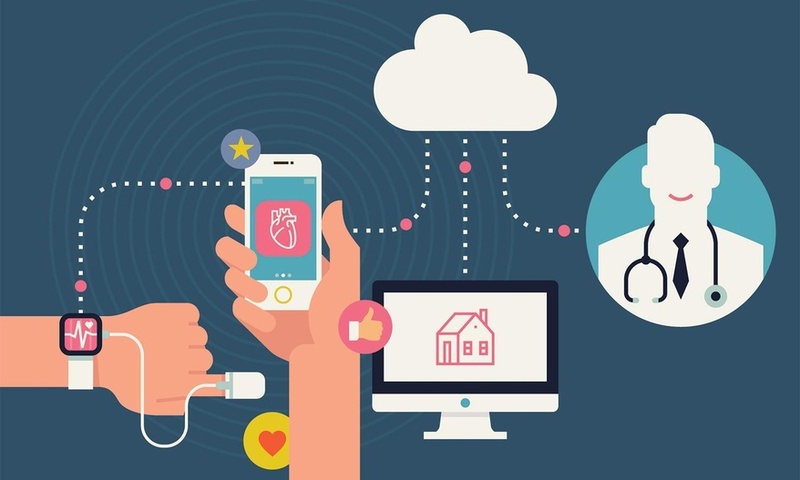 We have more technology at our fingertips than ever before, we literally have more computing power in our pockets than the Apollo spacecraft missions had in entire buildings. And with great power, comes great responsibility. Use it wisely, for this is what separates a good trainer from a great one!